Thinking of chartering in Europe? There may be more to it than just providing a passport and your VISA card. 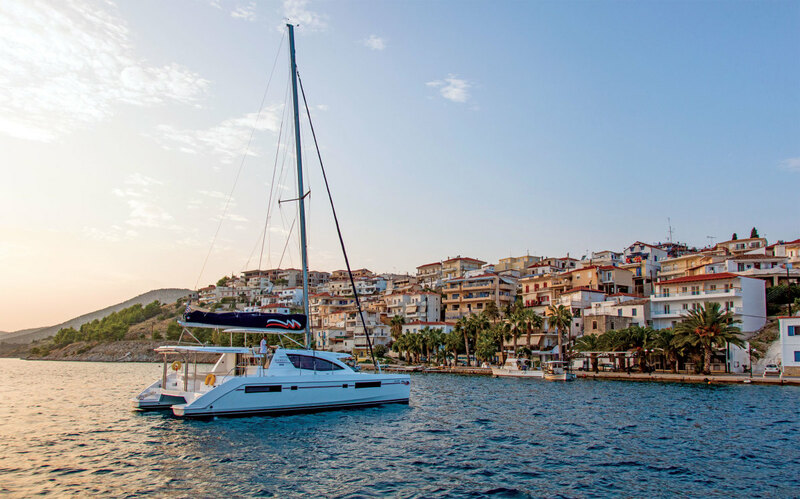 As more countries around the Mediterranean begin asking for formal certification to charter a bareboat, the waters are becoming murky in terms of what you do and don’t need for chartering across the pond. The International Certificate of Competence (ICC) was created in response to United Nations Resolution 40 and is becoming the accepted standardized qualification for leisure sailors in many European countries that have signed the agreement. The United States and Canada are not signatories, and therefore no American or Canadian school can issue an ICC. Grant Headifen, global director of education for NauticEd Sailing School (nauticed.org) based in Austin, Texas, says his organization is affiliated with the U.K.-based Royal Yachting Association and therefore can issue an ICC to American or Canadian citizens upon completion of NautiEd’s 40-hour online theory course and a practical assessment provided by an RYA-approved instructor. The RYA instructor flies around the country and does on-the-water assessments via sailing school or charter company vessels with a minimum of at least four people per class. This may be offered in your area, or you may have to travel a bit, so check with NauticEd for schedules. The total cost of online and on-water testing is approximately $750 and, according to Headifen, will grant the official RYA Day Skipper designation, which is sufficient to attain the ICC. Elbert Ashbaugh, affiliate representative for the American Sailing Association (ASA), which is a popular training and certification program with schools worldwide, notes that an International Proficiency Certificate (IPC) can, in some instances, also take the place of an ICC. ASA offers the IPC for a small fee to any students who have completed coursework through ASA Bareboat 104. US Sailing also offers an IPC after completion of its bareboat handling courses. Note, however, that the IPC and ICC are not interchangeable in the eyes of European governments in all instances. The rub in all of this is a lack in agreement on who can really issue what credentials (especially to another country’s citizens) what is accepted and where it will work. Croatia, for example, has been singled out as being particularly difficult due to the country’s requirements, not the charter company’s, so an IPC may not be recognized. Countries like Greece, Spain and Portugal also have fuzzy associations with the necessary certificates. You may be able to complete a online courses or challenge a particular country’s requirements based on your experience and then ask to be assessed on your practical skills after you arrive to obtain an ICC with the charter company: a bit of a headache to deal with before your sailing vacation begins. To further complicate the situation, the document needed is government-issued, and is not the domain of the charter company or its local staff. The issue is even seeping into the Caribbean, with Belize being the first to require certification of some kind. Chartering in countries like Tahiti in the Pacific has not yet been affected, and it is unclear whether it will be. Even the United States is contemplating a ruling for some documentation, like a safety rating, by the year 2018. But according to the ASA the process is still in the exploratory stages. A USCG “six-pack,” or master’s license, will provide proof of your experience, but will not get you an ICC, because it has no practical assessment associated with it. An RYA Yachtmaster certification should cover you to operate vessels in the European Union. Clear as mud, right? I’ve heard much information, misinformation, strong opinions, promises, predictions and even scare stories. There doesn’t seem to be one answer. The best thing to do is to contact the charter company in the country you wish to visit. If you’re told you’ll need a sailing resume, prepare one for yourself and your first mate. Most of the major charter companies operating in Europe, like Dream Yacht, Moorings and Sunsail, have an online form you can complete or copy to create your own resume. If you are denied a bareboat without an ICC, you may want to try a couple of major charter companies or even consider different countries that may be less restrictive before booking. Because the situation is fluid, check asa.com or ussailing.org for a list of countries and where they stand on the ICC. Whatever you do, don’t wing it, or you could lose a lot of money or time by being denied a boat after you arrive for your vacation and are then forced to hire a captain. Don’t leave this issue until a week before departure either, since it takes time and money to get the proper credentials. Do get answers from the charter company in writing before you go and then, by all means, enjoy your charter.